While it is widely recognised that the clean energy transition is weakest within the transport sector, the solution of increasing the production of biofuels also brings with it a sustainability factor. The EU’s revised Renewable Energy Directive has set out strict conditions for the production of biofuels, aiming to make their production more sustainable. Despite significant progress in the integration of renewable fuels across the EU, oil-dependency across European transport vehicles remains at 94 per cent. The target set out by the EU is for 10 per cent of the transport fuel of every EU country from renewable sources by 2020, while fuel suppliers are required to reduce the greenhouse gas intensity of the EU fuel mix by 6 per cent by 2020 in comparison to 2010. Biofuels are liquid or gaseous transport fuels made from biomass and are widely recognised as the major renewable alternative to fossil fuels. However, greater production of biofuels, with the intention of reducing greenhouse gas emission, has the potential to displace food production into non-agricultural land. This in turn, could force the removal of trees/forests, which remove CO2 from the atmosphere and potentially drive the scenario where the net GHG level increases rather than decreases. The Renewable Energy Directive and the Fuel Quality Directive, which came into force in 2015, aimed to tackle this form of land displacement known as indirect land use change (ILUC) and the new revised Renewable Energy Directive has introduced stricter guidelines and new measures to foster the decarbonisation and energy diversification of the EU transport sector. As well as setting new progressively increasing targets for fuel suppliers (from 1.5 per cent in 2021 to 6.8 per cent in 2030, including at least 3.6 per cent of advanced biofuels), with preferential rules applying to advanced aviation fuels in order to support their deployment in the aviation sector, the Directive also introduces a cap on the contribution of food-based biofuels towards the EU renewable energy target, starting at 7 per cent in 2021 and going down progressively to 3.8 per cent in 2030. A final element is the introduction of national databases to ensure traceability of the fuels and mitigate the risk of fraud. 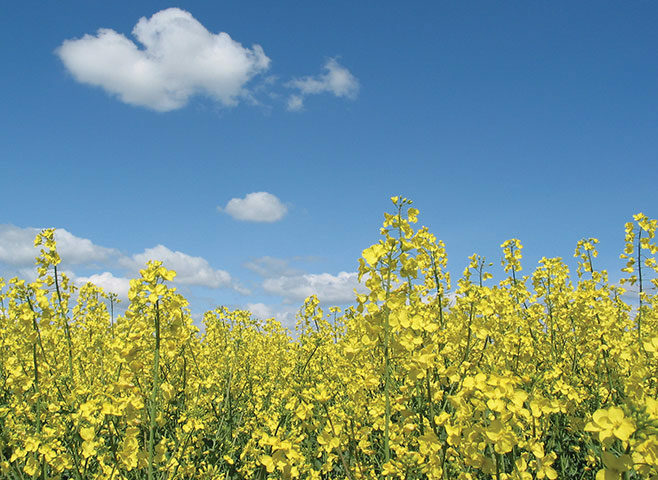 The decision to cap the contribution of food-based biofuels towards the target has been met with criticism from European farmers, who estimate the revenue made from biofuels to be more than €6.6 billion annually. In what is now the EU’s fourth change to the targets for renewable energy use in EU transport since the adoption of its first biofuels policy in 2003, stakeholders claim the cap directly undermines the existing €16 billion invested in European biofuel production facilities since 2003 as a result of EU biofuels policy. The European renewable ethanol association (ePURE), criticised the decision: “This political decision is not justified and ignores the Commission’s own science which shows that ethanol is a low carbon fuel. It is purely a political decision that runs contrary to the Commission’s better regulation agenda. The biofuel sector feel betrayed by the Commission because of its complete disregard for the investments made in good faith on the basis of EU policy”, said Robert Wright, Secretary-General of ePURE. The Irish Cattle and Sheep Farmers’ Association (ICSA) also outlined its opposition to the move, saying that it would undermine the production of sugar beet, maize and rapeseed. The ICSA said: “Hard pressed tillage farmers in Europe need every possible outlet for their produce at a time when record high global inventories of cereals has led to successive years of low prices for tillage farmers. Biofuels are an important source of revenues for European farmers and in addition, biofuel production provides European farmers with important by-products such as high-quality protein and energy feed such as distillers’ grains. Supporters of the move have highlighted the impact European policy has on a global basis, believing Europe has an obligation to move beyond food-based biofuels to waste and residues, and encouraging other markets to do similarly.